I spent a lot of August in France but that didn’t stop the constant demand for new content to appear in my “Exchange Unwashed” blog on WindowsITPro.com. Here’s what was published during the month. Exchange 2013 CU6 hybrid and co-existence bugs cause administrators to despair (August 30): Exchange 2013 CU6 was supposed to be all about enhanced public folder scalability but as it turns out, the update had a few twists of its own to offer. Hybrid connectivity with Office 365 suffered because of a bad configuration file while co-existence with Exchange 2007 servers proved problematic because the two versions didn’t understand each other. Oh dear… You would really wonder how Microsoft tests this stuff before they release code to customers. OWA bug compromises item preservation for litigation and in-place holds (August 28): No bug is good but this is a bad one because it means that a corrupt user can exploit a weakness in Outlook Web App to remove incriminating information from an Exchange 2013 server. Microsoft’s competitors in the compliance space must have been overjoyed when they realized what had happened – but I wasn’t amused. Exchange 2013 Cumulative Update 6 begins to address public folder scalability (August 26): I was so optimistic when I wrote this post because CU6 appeared to be all good news. Modern public folders had crippled scalability and it took far too long for Microsoft to recognize the problem and move to fix it. But at least improvements were happening and it seemed like CU6 was the first step along the path to acceptable scalability. Then other stuff happened. Enough said. TechEd Europe session selection not good news for on-premises customers or independent voices (August 22): I was pretty annoyed when I read the list of Exchange-related sessions that were selected by Microsoft for TechEd Europe in Barcelona at the end of October. Too few sessions and none to be delivered by independent speakers, despite many good session proposals submitted by European MVPs. At least the Exchange product group did something and changed the schedule to allow 1.5 MVPs to speak. Still disappointing though if you think about what might happen at the new Microsoft uber-conference in Chicago next May. Another opportunity for automation in eDiscovery for SharePoint 2013 and Exchange 2013 (August 21): It’s great to have a common eDiscovery platform shared by SharePoint and Exchange but it would be nice if it were easier to use. Software can automate common operations and smooth the way that users interact with functionality. It would be nice to see more more automation here. The joy of an impractical 100,000 Exchange 2013 mailbox configuration (August 19): I have no problem whatsoever when storage companies produce configurations to guide customers into what is possible using their solutions. I get heartburn when those configurations belong in cloudcookoo land, which is where I think the worthy people of Nimble Storage were heading when they came up with their suggested configuration to support 100,000 Exchange 2013 mailboxes. But see what you think. Perhaps you’ll like it. Rapid development in Office 365 reflects current software engineering practice (August 14): A somewhat reflective piece on how software engineering disciplines and techniques have evolved to a point where getting new features out is really all that’s important, which is why I think we hit so many quality problems in software. Update causes Outlook 2013 to fail to open archive mailboxes (August 13): Another patch, another problem. This time it was with Outlook 2013 when a patch provided through the normal “Patch Tuesday” mechanism caused merry hell with archive mailboxes. Well, you couldn’t get to the archive mailboxes… on either on-premises or cloud servers. So at least the problem was felt by all sides. And who needs that stuff in archives anyway? 2TB seems like such a good size for a mailbox database (August 12): How big should a mailbox database be? Well, that all depends on your appetite for risk and how much you like to restore very large backups. Or just deploy multiple copies in a DAG and grow your databases up to around 2TB, which seems just about right. Exchange 2007 approaching the end of the line – slowly (August 5): The nature of enterprise IT is that things move slowly when it comes to the planning process for software upgrades. Exchange 2003 expired this year and Exchange 2007 will expire in 2017. That’s still some time away, but you had better get planning soon. So there we are. Not a particularly nice month in terms of tales of woe and problems. September 2014 should be better. At least there’s Exchange Connections to attend in Las Vegas. I’ll report from there during the month. Stay tuned! 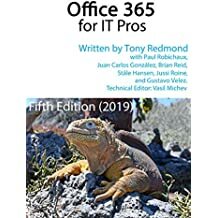 This entry was posted in Cloud, Email, Exchange, Exchange 2013, Office 365, Outlook 2013, SharePoint 2010, Technology and tagged Bugs, Compliance, Exchange 2007, Exchange 2013 CU6, Exchange Online, Exchange Unwashed Blog, HCW, Hybrid Connectivity Wizard, Office 365, Outlook 2013, Outlook Web App, OWA, SharePoint Online, TechEd Europe. Bookmark the permalink.